As ZeRo Saga, the Smash Wii U community’s yearender event, came to an end, the 2016 competitive year ended with a beginning: the announcement of an all-new national tournament circuit from 2GGaming. 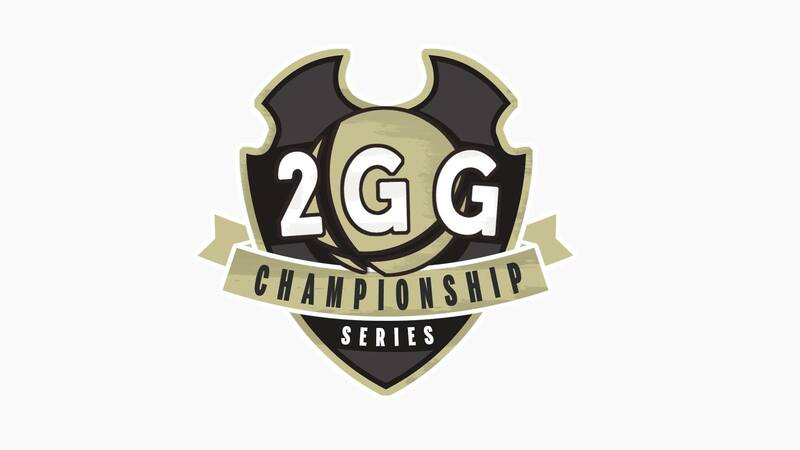 After Leonardo “MKLeo” Perez was crowned the year’s last champion, 2GGaming founder Champ Tangwongkitsiri revealed the existence of the upcoming 2GG Championship Series. On top of being the first organized Smash Wii U tournament circuit, a prize pool of $100,000 will be distributed throughout its events. The 2GGCS will be a collaborative effort with eSports Arena and will consist of 12 events across 2017, beginning with 2GG: Genesis Saga in January. It will include events such as the long-awaited 2GG: Civil War and culminate with the 20-man 2GG Championship in December. Circuit event winners will receive an automatic slot into the championship. An additional 8 slots will be allocated to competitors with the most ‘circuit points’, which can be accumulated by placing within the top 16 of a circuit event. This is an incredible development for the competitive Smash scene. Street Fighter V has benefited tremendously from the Capcom Pro Tour, which proves that high financial stakes bring out the best in top players. 2GGaming is poised to bring that same kind of experience to Smash Wii U players and enthusiasts. 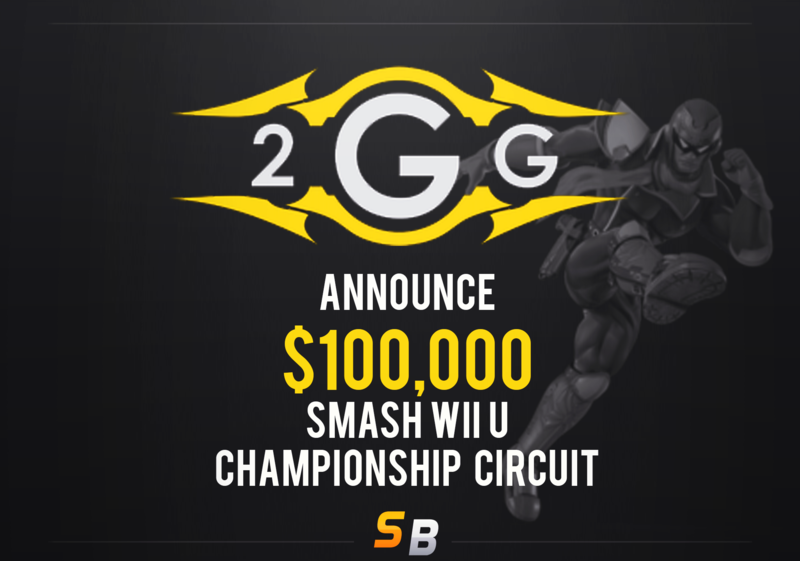 For more information, you can check out the championship series’ Smash.gg page, as well as 2GGaming and Esports Arena on Twitter and be sure to tune in to Smashboards as more information comes out regarding the biggest tournament series yet for Smash Wii U! Hangman is an aspiring figure in the esports field with experiences stretching from Super Smash Bros. to being involved in the fighting game community. Hailing from New York with a love for gaming bred from arcade cabinets and nurtured in home consoles, Hangman had taken to analyzing what makes video games as fun to watch and talk about as they are to play. With a knack for the finer details of what makes a good player great and eyes on those that came before the greats of tomorrow, he looks to connect the humble past of competitive gaming with the bright future ahead of itself. So...basically just 2GG Saga with a new coat of paint? It's a step up from that. A fully scheduled smash wii u circuit with a leaderboard and such. To be honest, as hyped as I am, I also have my reservations about the tournament series - part of what works with the Capcom Pro Tour, as well as its equivalents for other games like Tekken and Killer Instinct, is that they use events from all over the world for their ranking systems. They don't just run a series of monthly events at a standard venue (which I assume 2GG would be doing here), but branch out, and have at least one event, if not more than that, in almost every established region. They work with prominent TOs to incorporate established events, such as NorCal and SoCal Regionals, Combo Breaker, and even CEO and EVO into their circuit, and work side-by side in a way that, for the most part, benefits both sides of the equation. It's that cooperation with the community that's what makes the Capcom Pro Tour, the King of Iron Fist Tournament, and the Killer Instinct World Cup such a big deal. Not only are they big events, but they're also centralized while keeping the whole scene involved. Compare that with the fact that, as far as we know, all of the events in the 2GGCS will be 2GG-run events, most likely at the eSports Arena venue. This lack of involvement from other TOs in other regions presents two problems. It prioritizes 2GG's events over those of other TOs and organizations, and it prioritizes a single region. Instead of bolstering and uniting the entire scene, this would instead focus it on 2GG events at the expense of everyone else, thus incentivizing players to prioritize their events. There is also a great degree of wasted potential in only using 2GG Sagas for the championship series instead of other Smash tournaments. Not only could this be used to bolster existing Smash majors, like GOML, Super Smash Con, Shine, and The Big House, by having them all contribute to the Championshp Series' rankings, it could be used to give us a closer tie to the mainstream FGC, whose events, outside of CEO and EVO, are largely ignored. Smash TOs, 2GG in particular, has a history of scheduling events at the same time as FGC majors, such as NorCal Regionals this past Spring and this weekend's North East Championships. In incorporating those events into the Championship Series, players would be further incentivized to attend those events as opposed to brushing them aside in favor of Smash-only events. So the same monthly regional with a point system added? This is incredibly hype, wish I lived out there for each month. It would be pretty cool if the finals were a round robin. Like you have to play everyone in a giant pool, and then the seeding from that becomes like a playoff. A two day event, perhaps? This is crazy, and lets hope I can watch all 12 events and not miss a thing. A round robin with anything more than 12 people tends to be prohibitively long.. Maybe Modified Swiss bracket going into a double elimination top 8. EDIT: Oh, I just realized you meant a Round Robin top 8. That would be cool. Maybe even modified swiss going into Round Robin top 8. If the Finals were invite only and limited to say 64 entrants or something like that (with some event winners/top ranked players/top point earners getting byes perhaps? ), this could definitely happen to setup a Top 8 bracket. Maybe you could do two groups of Round Robins to cut down from Top 16 to Top 8 (and maybe start everyone in Top 8 out in the Winner's Bracket). A neat idea I have would be if perhaps for the December 2GGaming Annual Final Event Top 4/3/2 we considered having Best-of-7 sets. I know I'm in the minority, but as a super old school MLG event Melee viewer, nothing is more hype than a Game 7. Seeing some of those old game 6's and 7's back before live streaming was even really thing (and for a tad while when esport live streaming was in its' infancy) adds a specific level of hype that comes automatically that you don't receive in Best-of-5's automatically. I think having a Circuit and having an event end with that would add an awesome, unique feeling of added weight to sets, and would truly be something special to see implemented. It makes it stand out more, and truly feel like a "Final Boss" sort of feel as a viewer and as a player. Time issues are always the number one priority to fix, but if the final December event is invite-only or has a day dedicated to solely Top 8, this is definitely feasible from a scheduling perspective.